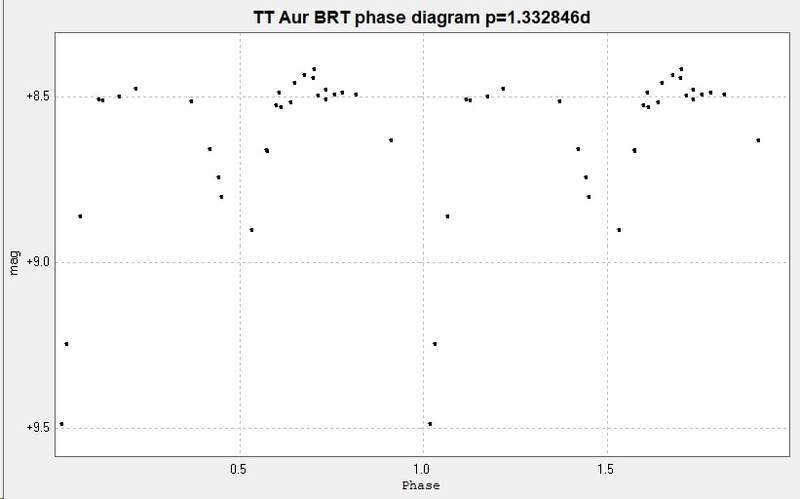 Light curves and phase diagrams of the EB type eclipsing binary TT Aurigae / TT Aur. ​The following light curve and phase diagram were constructed from photometry of 29 images taken with the Bradford Robotic Telescope Cluster Camera (BRT) through their tri-colour green filter between 23 October 2014 and 1 October 2016. ​The following primary minimum, on 8 December 2017, was constructed from photometry of 564 unfiltered images taken with the 2" Titan at Somerby Observatory. 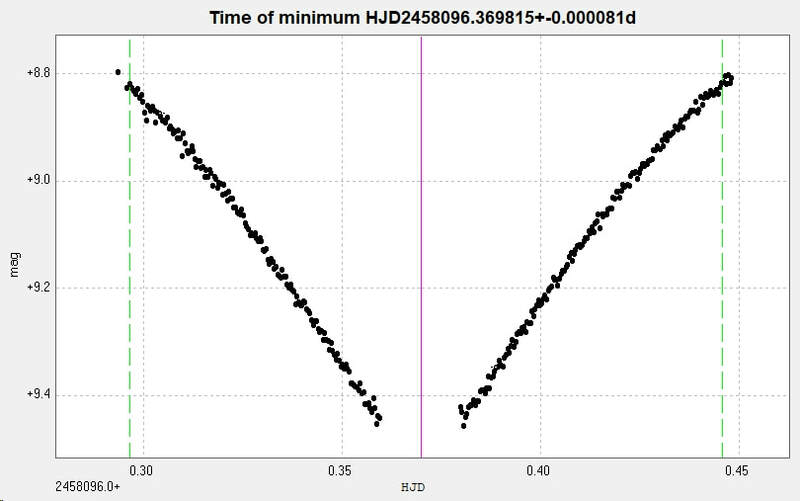 ​The following HJD of the primary minimum was determined from a subset of the above observations, selected to give equal weight to the decline and rise sections of the light curve. 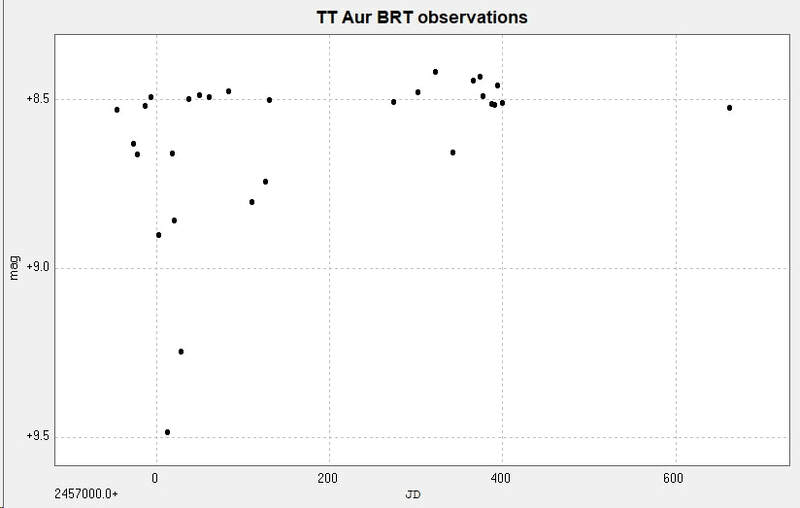 ​Combining the BRT and Somerby observations into one light curve and phase diagram gave the following figures. 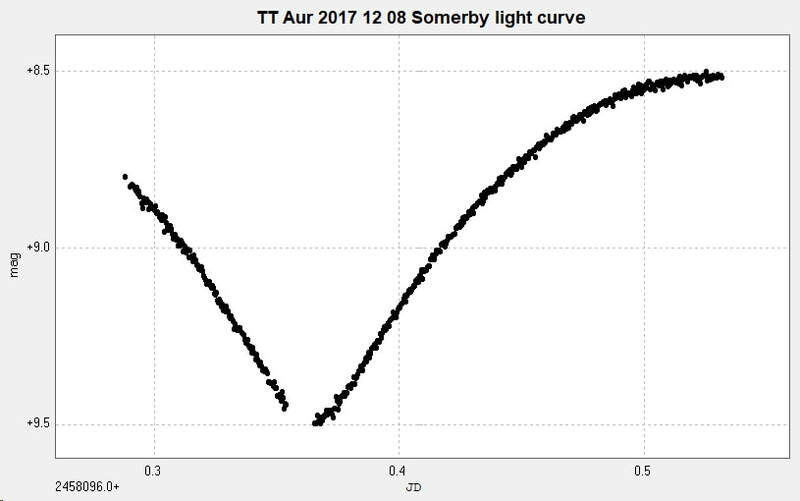 ​There is o-c activity in this system, which exhibits a small amplitude (approximately +/- 0.01 day), sinusoidal o-c curve with a period of about 20 years (Kreiner).